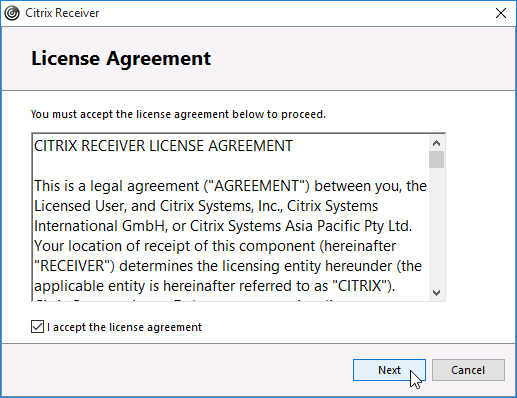 The following procedure will provide you with the steps to access your Protective Enclave Virtual Desktop and install the Citrix Receiver client if it is not already installed. Password: Dots (●), rather than your password, are displayed on screen as you type to conceal your password from others. It will then wait for you to authenticate using the MFA method you previously setup (e.g., phone call, mobile app, text message). 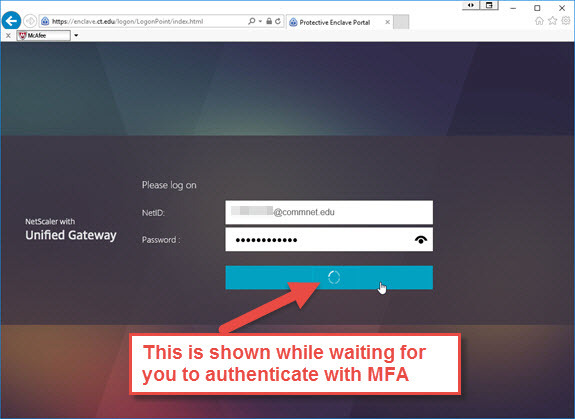 (For more information on MFA, see Multi-Factor Authentication). 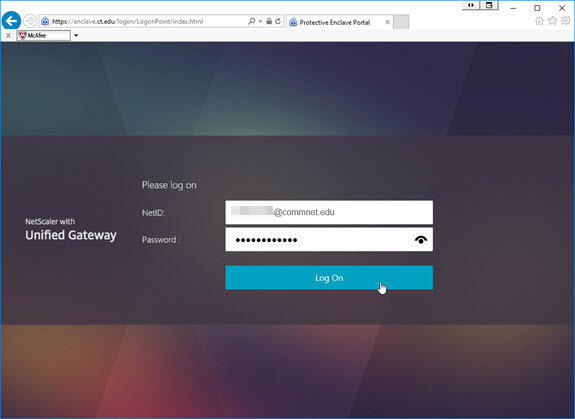 NOTE: If your NetID/password or MFA authentication fails or times out waiting, you will see the generic error, "Incorrect user name or password." If you are having problems authenticating, refer to the FAQ. Once logged into your Protective Enclave Virtual Desktop, you can stay logged in all day and if desired, just minimize the window so it's not in your way (NOTE: the Protective Enclave screensaver will kick in after a time of inactivty, but you will only need to provide your NetID and password and will not need to reauthenticate using MFA). If you happen to accidently close the Protective Enclave Virtual Desktop, you simply need to reconnect within 10 minutes and you will not lose any unsaved work inside the Protective Enclave. You will however, need to authenticate again using MFA. If you do not reconnect within 10 minutes of accidently disconnecting from the Protective Enclave, you will lose any unsaved work. 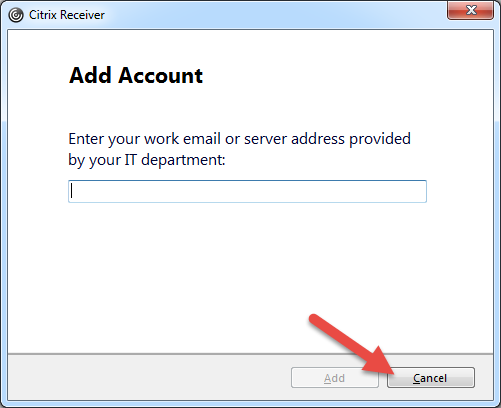 If at anytime the Citrix Receiver asks you to Add an Account, click Cancel. For help navigating around the Protective Enclave, refer to the Protective Enclave documentation. 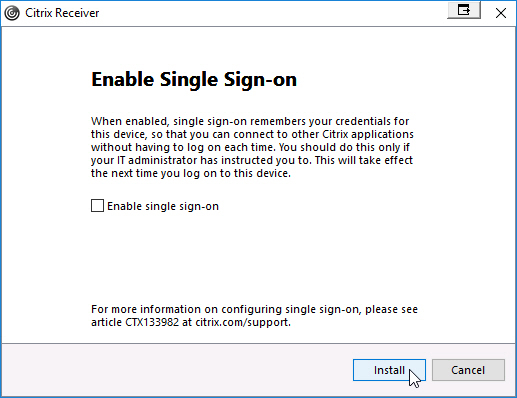 If you do not already have the Citrix Receiver installed, it will prompt you to install it. 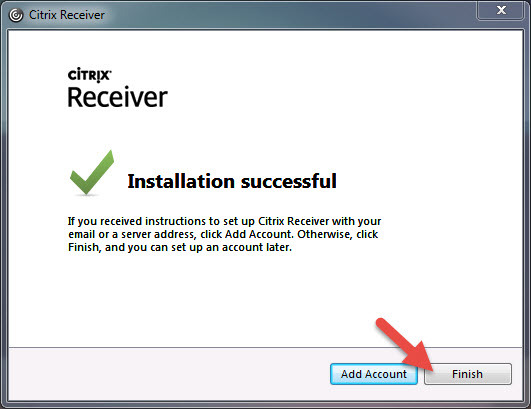 Continue to the next section "Installing the Citrix Receiver". 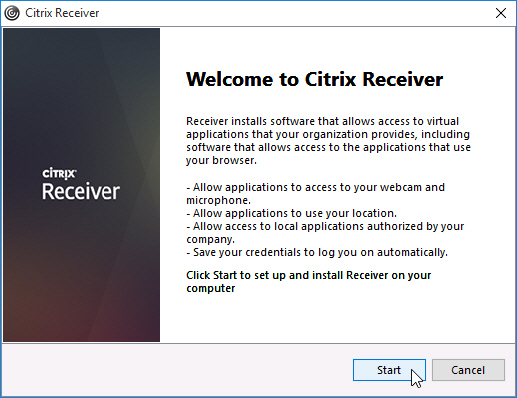 NOTE: This screen is only displayed for *new* Citrix Receiver installations only. 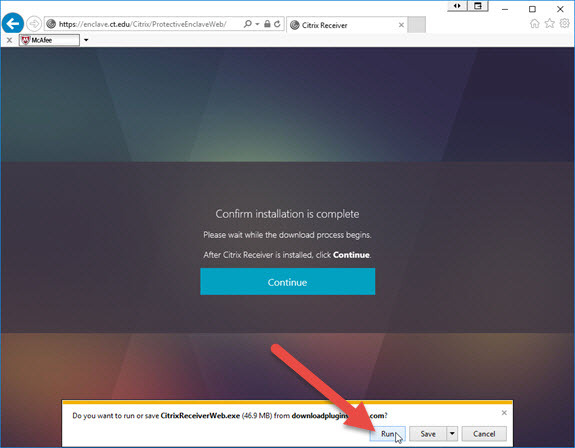 It is not displayed during an upgrade installation. 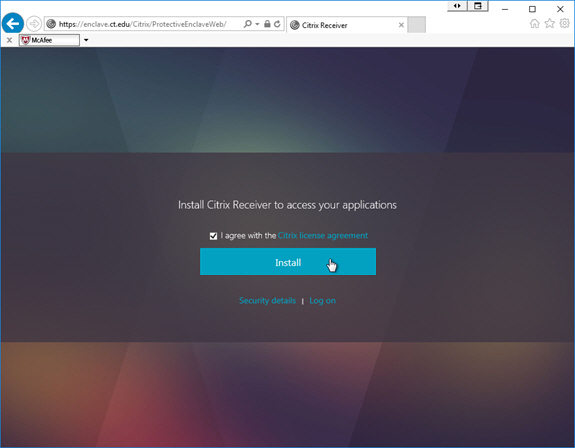 After the installation of the Citrix Receiver, proceed to "Accessing the Protective Enclave Desktop" steps again to log in and launch the Protective Enclave Desktop. For help navigating around the Protective Enclave, refer to the Protective Enclave documentation.